13th. 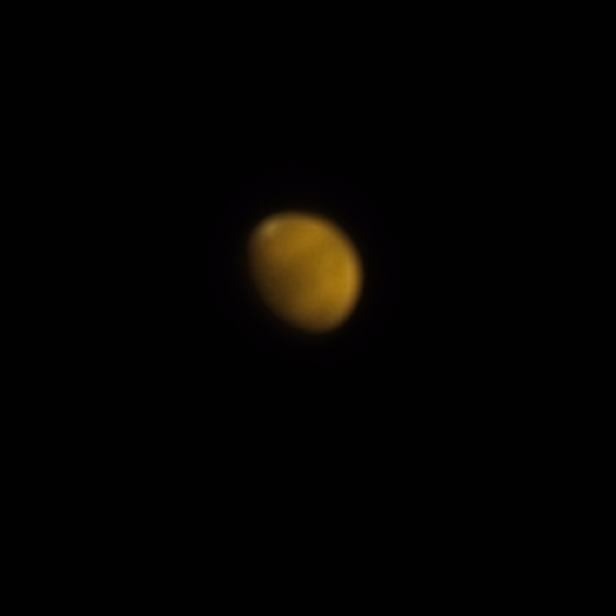 November 2018 - first and last chance this year to obtain an image of Mars from our backyard - blurry view of the red planet as it spins away on its orbit. Sad that it was below the houses to our south when it was much nearer at opposition. Polar cap fairly obvious but not sure whether there is a little cloud on the limb or whether the white stuff is noise.